Google may sell set-top box business: RIP Google TV? What turmoil hides behind that jolly logo? Reports are flooding in that Google is looking for a buyer for Motorola's set-top box business, possibly hinting at an early demise for Google TV. Sources told Bloomberg that Google has hired a firm to search for a buyer for its Motorola Mobility home division, including the set-top section. The sale, which the source predicts could be worth around $2 billion, may see Google leave the world of television receivers behind - or at least the world of pay-TV receivers. 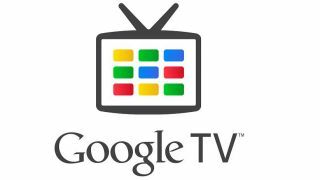 Even without the Motorola business, Google could continue to work with third-party manufacturers to make its IPTV boxes. Although Google TV hasn't been quite the glowing success that Android and the Google Nexus 7 have, it makes sense to push on with it given Google's game plan to get Android on every home device going. Google bought Motorola for around $12.5 billion earlier this year, and the news of lay-offs and a potential parts sale have left commentators wondering if the purchase was really all about patents. The other tech giant with an eye on the television business is Apple; rumours of an Apple-made HDTV have quieted of late, only to be replaced by speculation over a beefed-up Apple TV box which could see users watching solely on demand programming and even skipping over adverts.